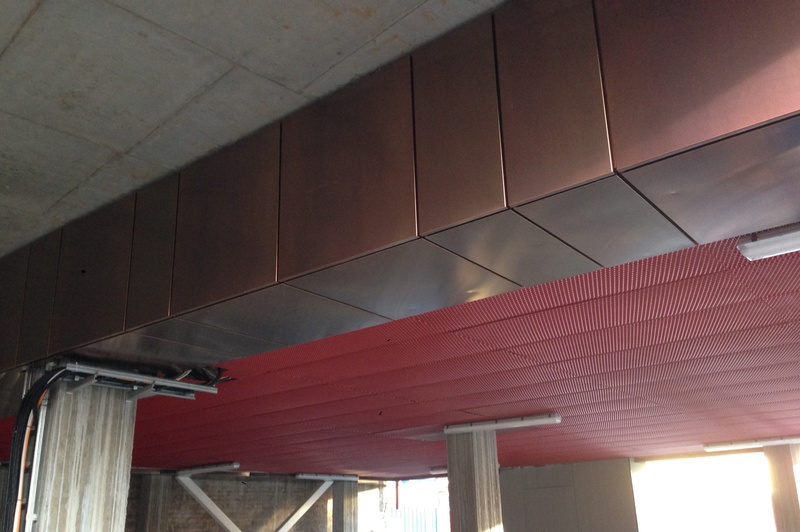 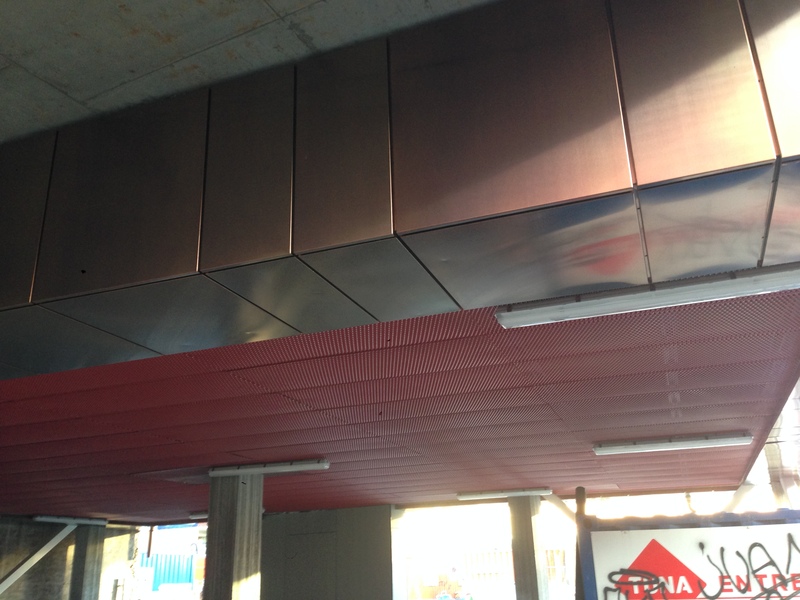 Custom made external suspended metal ceilings can be produced as a part of facade and building envelope project. 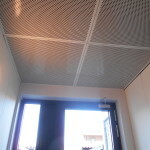 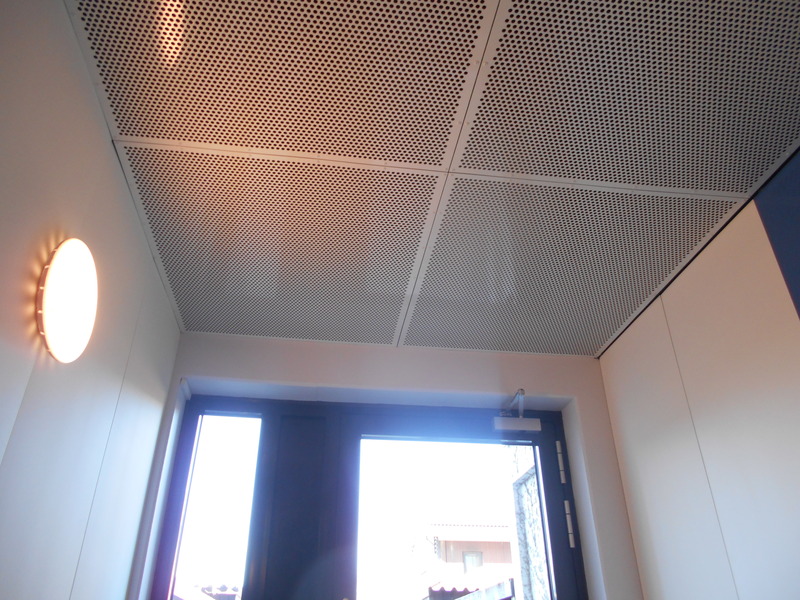 We produce powder coated perforated metal ceilings or wire mesh ceilings. 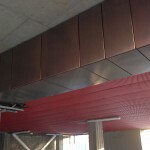 Metal suspended ceilings will be fire proof, weather resistant, non-flammable. 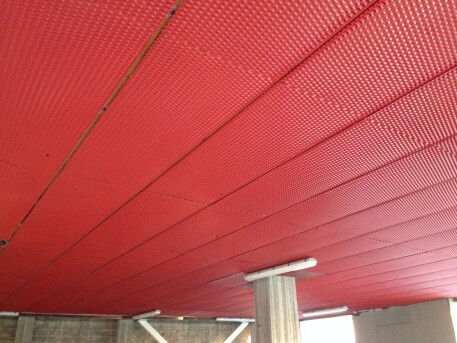 Metal ceilings will be durable and give a clean, modern look. 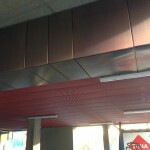 It is possible to powder paint in a wide selection of colors to harmonize with interior / exterior of the building.